Whether you’re browsing for inspiration or looking for something specific, this list of the best campsites in India will help you choose where your next adventure should be. We’ve divided our list of the best campsites in India into two sections: The best fixed campsites you can drive to for a weekend of adventure, and the best campsites you’ll stumble upon when you’re trekking in India. Why go camping in India? When it comes to natural beauty and geographical features, India has it all. Up north, we’ve got the mighty Himalayas forming a massive playground with spectacular trekking routes, high altitude deserts, shimmering emerald lakes, and of course, some of the highest peaks in the world to dream about. A little lower down, in the foothills of the Himalayas, you’ll find trails leading through cool pine and oak forests, sparkling rivers, hot springs, thrilling ski routes covered with powder snow, craggy canyons and tall mountains to climb. As if that’s not enough, we have a coastline that stretches for miles, offering us white sand beaches and tropical oceans to dive and snorkel in. And then top it all off with a generous sprinkling of forests, minor mountain ranges like the Sahyadris, sprawling deserts, salt marshes, caves that run deep into the earth, and thundering waterfalls dotting the landscape of India. It’s no wonder that there are some truly magnificent options for camping in India. This camp is not far from Mumbai, Pune and Lonavala, but it nestles deep in the hills and away from the crowds. You’ll be surrounded by nature, with the lake right beside the campsite, and plenty of greenery to explore. There are charming gazebos, a plant nursery, and well-manicured gardens for you to spend some quiet time at. There are clean and large restrooms and changing rooms, with separate blocks for men and women for your use. A large dining hall provides a comfortable place to eat your meals, which a team of chefs conjures up for you. You’ll spend the day on a sprawling 18-acre property, enjoying swimming, kayaking, river crossing and nature walks. Click here to read about the campsite in Lake Andra. 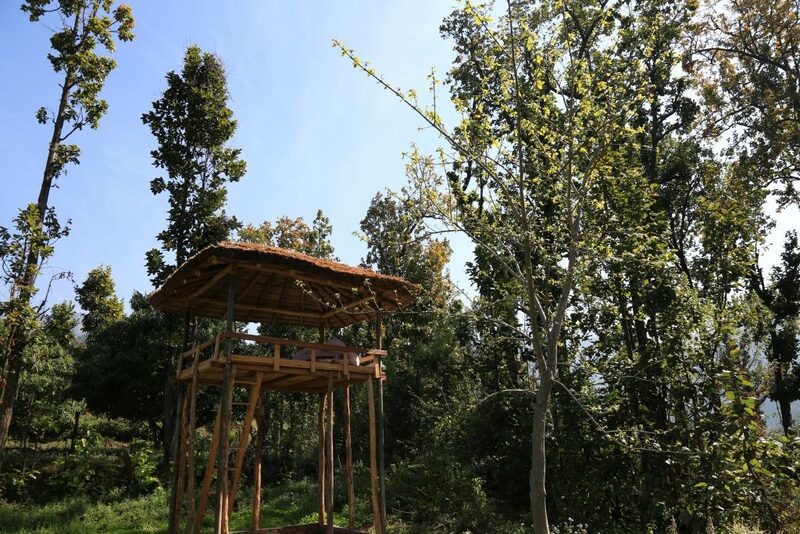 Located in Mukteshwar, high in the Kumaon hills, this camp is a top pick for one of the best campsites in India. It’s a dreamer’s paradise, named after the colour of the clouds at sunset. During winter, the morning mists lie low on the mountains, turning all shades from baby pink to blazing reds and purple. In the spring months, the orchards around the campsite are covered with blossoms, turning to luscious peaches and plums as the summer months come along. You’ll be staying in American safari tents, equipped with cots, mattresses, blankets/sleeping bags, and lamps. Click here to read about Camp Purple, Mukteshwar. If you’re a water baby, you should spend the weekend close to the beach, enjoying the cold night air and the stars above. This campsite is not too far from a secluded beach at Kashid, and gives you the chance to walk along the sands, listen to the waves, and indulge in a host of fun activities. You can go for a swim, try fishing, or play a game of beach volleyball (none of these activities are included in this package). You’ll enjoy a day of outdoorsy fun and end the evening with a merry bonfire. You’ll camp in weather-proof tents with foam mats, blankets and pillows to ensure you get a good night’s sleep, with comfortable toilet and shower blocks nearby. Click here to read more about this beach campsite in Kashid. This riverside campsite is located in the midst of nature, with the Tons river flowing by right outside. At 4500 ft, the campsite also allows you stunning views of the valley and forests around. Around the campsite, there’s plenty to do: from cycling trails to waterfalls to explore, and natural pools to swim in. You’ll camp in comfortable tents beside the Tons river, take kayaks out to battle the rapids, race mountain bikes over the hilly terrain, or go swimming in clear freshwater pools and waterfalls. It’s your own little paradise, with mist floating in in the morning, boulders to sit on and admire the river, and forest trails to explore. Every evening, you’ll gather around a campfire, enjoy a few snacks, and wish this trip would never end. At night you’ll go to sleep in cosy tents with cots, mattresses, thick blankets and a carpeted floor. For your comfort, there are separate toilet tents and shower tents. This campsite is only open for three months of the year, from April to June, so don’t leave it till too late. Click here to read about the Tons river campsite. 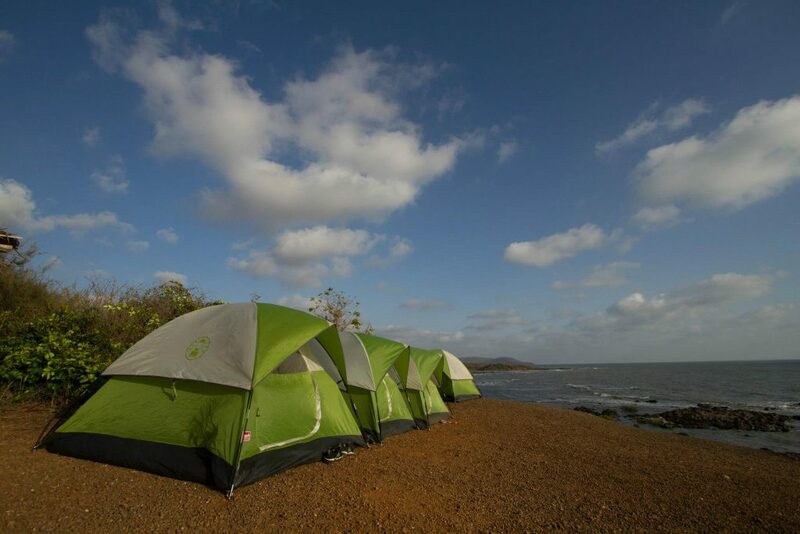 Camping in Pavna gives you the chance to get away from Mumbai or Pune with just a short drive. This campsite has the perennial lake on three sides, giving you beautiful views at any time of the day. While the campsite turns lush green during the monsoon, it is also gorgeous during the winter months, when mist descends on the lake in the early morning and there’s a nip in the air at night. This is one of the best campsites in India and when the temperature drops (Nov-Mar), the chilly nights make the bonfire even more fun. You’ll camp in weather-proof tents with foam mats to ensure you get a good night’s sleep, with comfort facilities like dry toilet tents with Western commodes. Click here to read about this campsite at Lake Pavna. Camp Suryagaon perches on a hilltop about 22 kms from Nainital, at an altitude of 4500 feet. 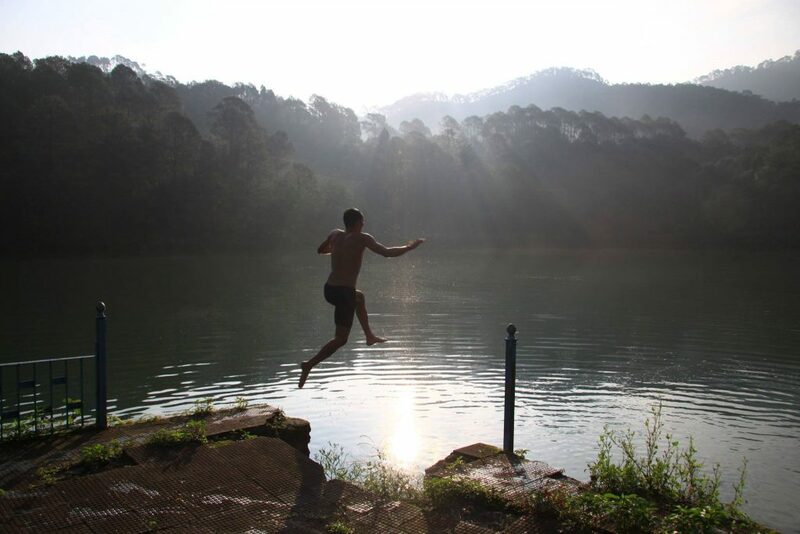 This campsite allows you to explore fragrant pine forests, swim in a beautiful lake fringed with greenery, and splash at the base of a waterfall with water so pure that it leaves your hair and skin silky soft. At the campsite, you’ll spend evenings around a bonfire and sleep in cosy American safari tents. During the day, you can hike through oak and pine forests, go rock-climbing, or head out for a spot of kayaking or fishing. 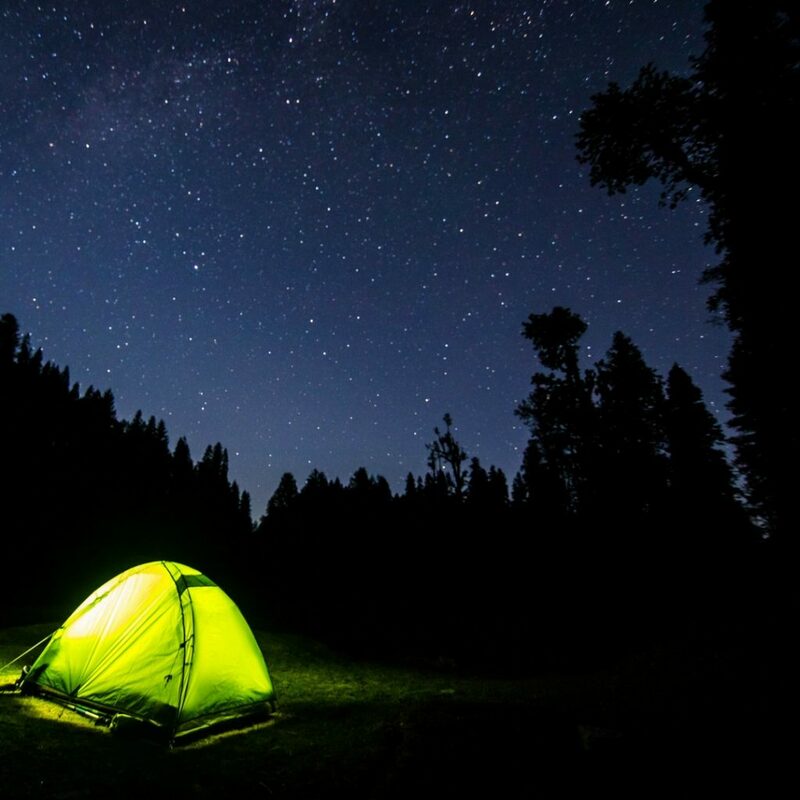 At night, you can go on a moonlight trek to a haunted lake, or you can stay tucked in your sleeping bags in a tent. 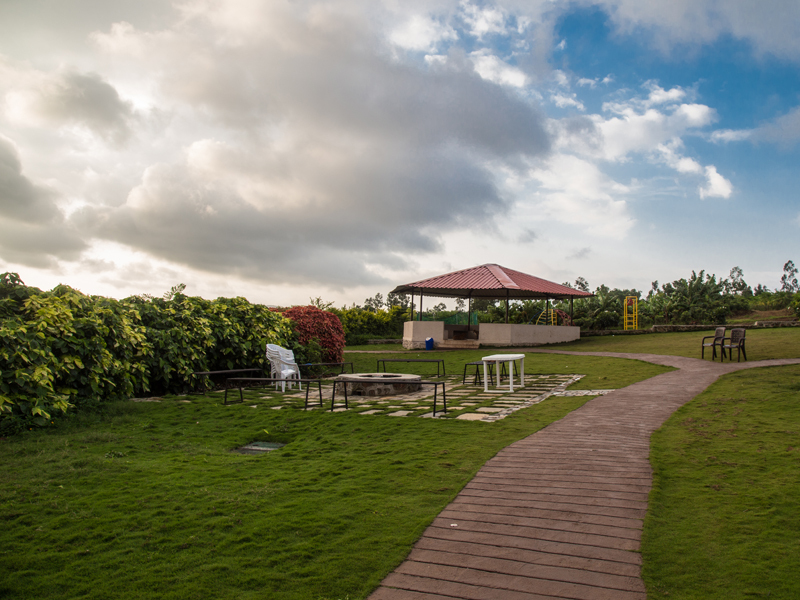 Click here to read about this campsite in Suryagaon. This is one of the best campsites in India, thanks to the location and the comfort. You’ll be camping in luxurious tents along a tributary of the mighty Ganges, in the middle of a national forest. 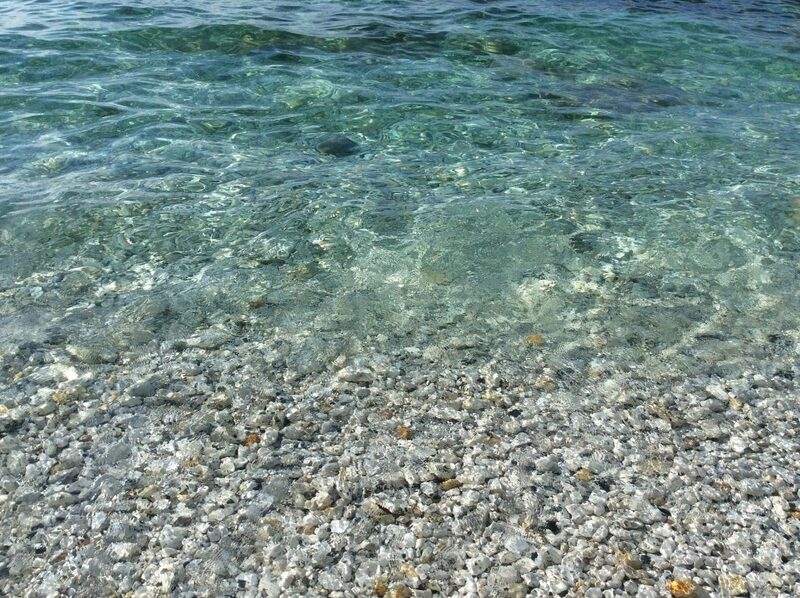 Every morning you spend here, you’ll wake up wishing you could just live here forever. The skies are clear, the birds chirp happily, and the blue river gurgles all day. You can choose to head to the river for swimming, or try your hand at high-adrenaline sports like rock climbing and rappelling, or you could maximise your time in nature with a waterfall trek, nature walk, or bird watching. You’ll be staying in Swiss tents with attached washrooms and electricity. Each tent is equipped with carpeted flooring, towels, personal utility kits, electric heating bags, fans and lights. The beds have thick mattresses, and pillows and blankets. Apart from this, your campsite has delicious buffet meals in a variety of cuisines. There are barbeques every night, bonfires, and lots more. 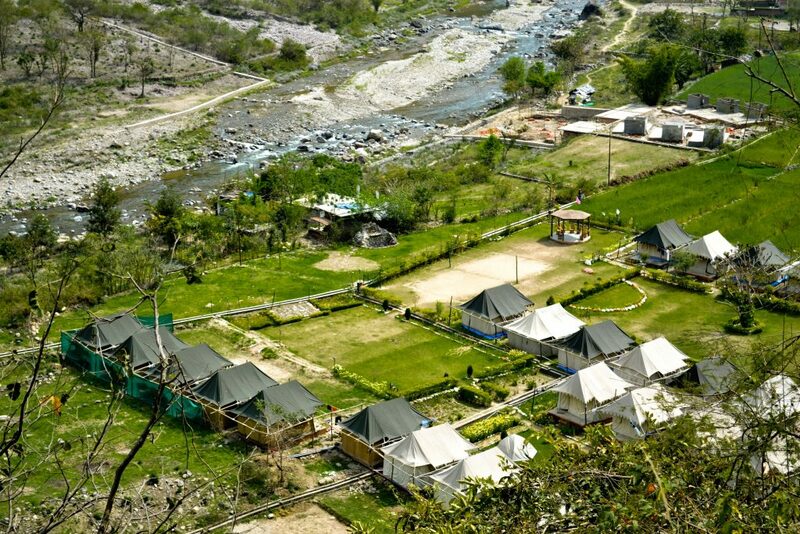 Click here to read about this campsite in Rishikesh. 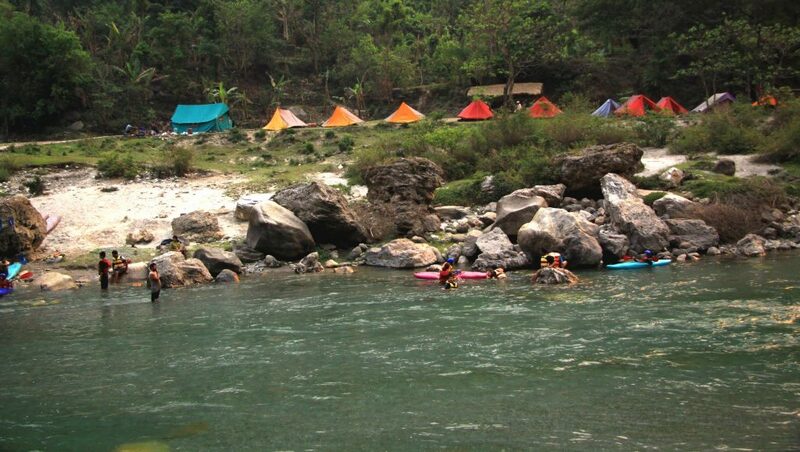 This delightful campsite lies about 90 kms from Rishikesh, along the banks of the Alaknanda. The emerald waters with their white sand beaches contrast perfectly against the greenery around, making it one of the best campsites in India, as well as the most beautiful. And you’ll be right in the midst of all this beauty, enjoying bonfires and falling asleep to the sounds of nature outside. The location offers you temples, forest trails, local village walks and more, but the highlight is the adventure activities available. The river has stretches of tumbling rapids on which you can go whitewater rafting, but there are calmer stretches where you can try kayaking, body surfing or swimming. You’ll live in Swiss tents, with a permanent roof and ensuite washrooms to shelter you from the elements. Inside your tent, you have queen size beds, luggage racks, side tables, and a coffee table and chairs. However, you’ll probably spend most of your time on the delightful private sit-out that looks over the river. Click here to read about this campsite in Jayalgarh. This camp is located in the foothills above Kotabagh, on the periphery of Jim Corbett National Park. It lies at an altitude of 2800 feet, with spectacular views of the Baur river and the Kotabagh valley. It’s the perfect place to get away from the city and out into nature. You’ll be staying in American safari tents, equipped with cots, mattresses, blankets/sleeping bags, and lamps. Adventure activities range from mountain biking to trekking, body surfing to forest camping – all on offer at this serene, scenic campsite. 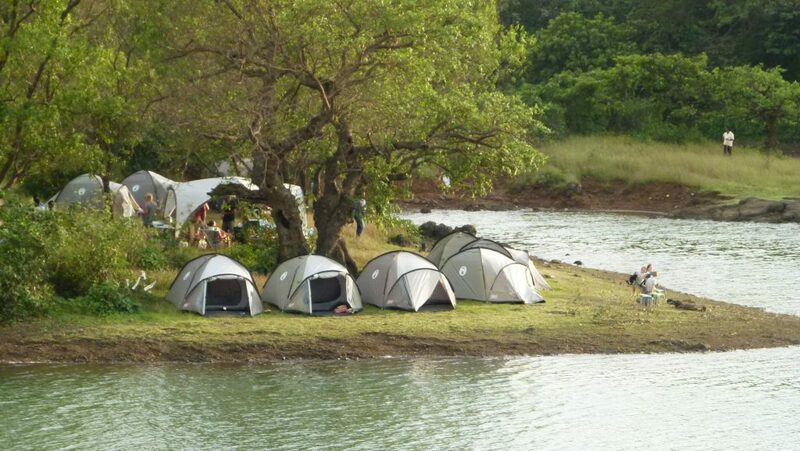 This wild campsite is one of the best campsites in India and offers you a chance to get very close to nature. The distant call of the leopard often punctures the peace and quiet, and the wind rustles in the leaves all night long. It’s Corbett country, and your campsite brings to mind all the adventure storybooks you’ve ever read as a kid. You can climb into machaans, ramble along thickly forested lanes, go on bicycle rides through charming villages, or take a dip in the stream nearby. Click here to read more about this Corbett county campsite. 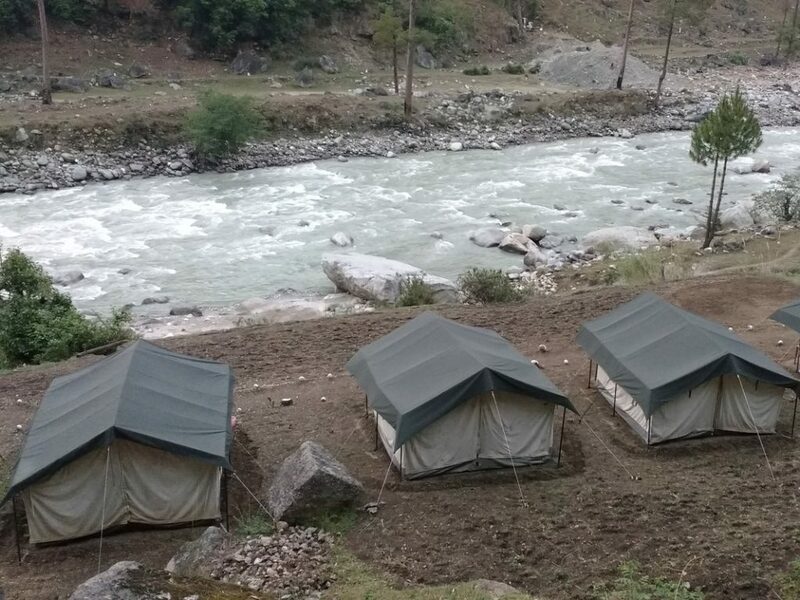 This campsite is located at Nachani village on the banks of the river Ramganga. The river has clear, sparkling water and white sand beaches dotted with banana trees. It’s one of the best campsites in India thanks to the activities and natural beauty. From here, you can go mountain-biking to small villages, or hike out to secret caves, swim in hidden natural pools, or go on forest walks. Munsiyari is a short 30 kms away from the campsite. The camp offers accommodation in alpine tents, as well as a host of activities like kayaking, trekking, fishing, swimming and more. You can hike to an emerald-green lagoon surrounded by forest, and go on a peaceful swim. In the evening, you’ll light a campfire and dine by its warmth. Fall asleep to the rhythm of the river and wake up to the sounds of birds. Click here to read more about this riverside campsite. The Kedarkantha trek takes you to some of the best campsites in India, but the campsite at Juda ka Talab is probably the best. Juda ka Talab is a small lake that lies in the midst of a pine forest, with the clear water reflecting the trees and the sky above. In the winter, the lake freezes over and is ringed with snow. You’ll come upon the campsite suddenly, after weaving your way through a forest, and will gasp at the sight of the snow drifting down from the pine trees onto the frozen lake. 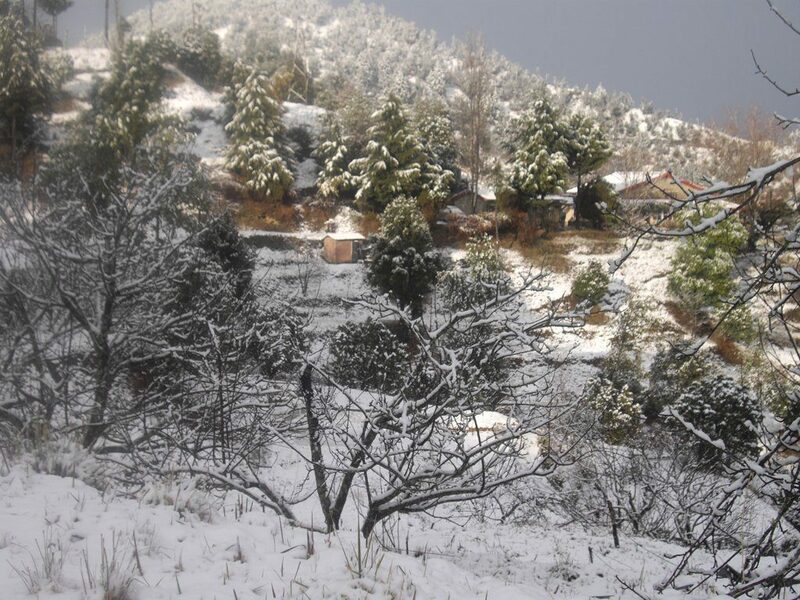 Click here to find out more about the Kedarkantha trek in India. 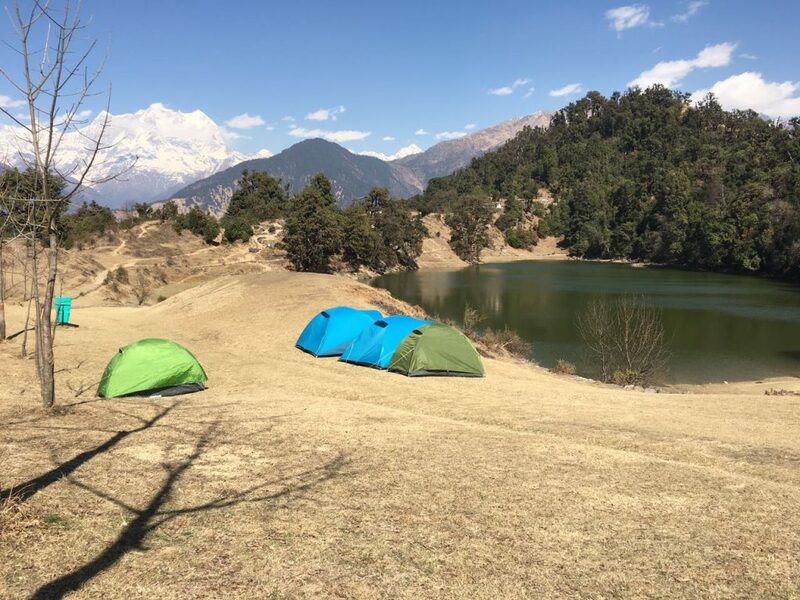 Set at the top of Nagtibba, this campsite is one of the best campsites in India because you can get to 10,000 feet in just one day of trekking. Thanks to this height and the proximity to Dehradun, this is a popular option for a quick weekend getaway. From the campsite, you’ll be able to see the snowy peaks of Swargarohini, Bandarpoonch, Srikanth and Black Peak. You’ll have all the basic comforts like tents, sleeping bags, and toilet tents, all led by a friendly team of guides and porters. At camp, the ground is covered with wild mint which the cook will pluck to make a deliciously refreshing cup of tea. In the morning, you’ll realize exactly what we mean when we say ‘breakfast with a view’. 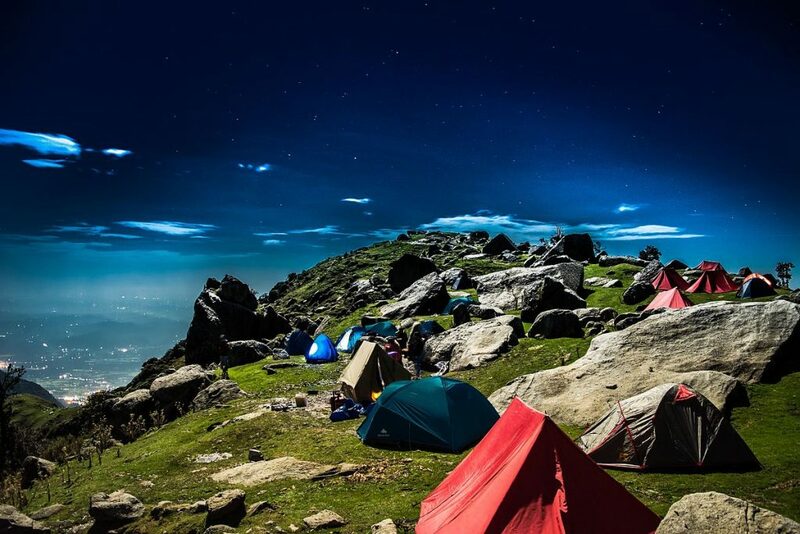 One of the best campsites in India is the one in Triund, buried in an alpine meadow at Triund summit. The way up is dotted with large boulders, and provides a dramatic view as the shadows lengthen and the sun sets. From this campsite, you’ll be able to see absolutely breath-taking, 180-degree views of the mountains and the gorgeous Kangra valley. Just the view of the evening sky from Triund is a reason enough to pitch a tent here for the night. The trek to Beaskund is a relatively easy one and is suitable for beginners. It’ll take you up into the meadows of a tall peak, to a deep emerald lake. This lake (or kund) is believed to be the place where Sage Byas visited for his ritual bathing and meditation, and when you get here, you’ll see why. 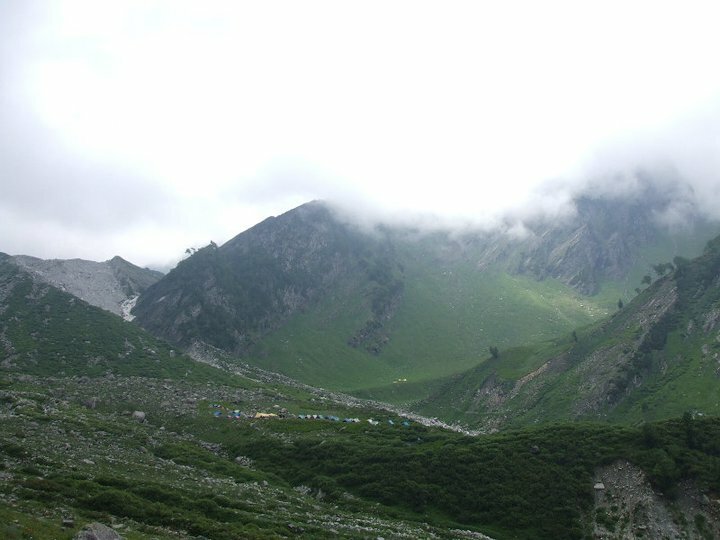 There’s complete silence around the lake, and at your campsite at Bakarthach, which is the highest campsite on the trek. Except for the occasional rumbling of an avalanche on one of the slopes nearby, or the soft whickering of a flock of sheep trotting by, you’re unlikely to hear anything else At the sun sets, you’ll see the mist rising up the valley you just trekked through. At around 05:00 hrs in the morning, your team will wake you up to see the first rays of the morning sun turning the mountains molten gold. Dodital is a freshwater lake that is home to the rare Himalayan trout called Dodi, after which it is named. When you’re on this trek, you’ll be camping at one of the best campsites in India, right on the banks of the lake. The crystal clear lake is fed by cold glacial meltwater, and is filled with trout. All around, there are oak and rhodendron trees, with towering mountains behind. Mantalai lake used to be a stop on the way to the Pin-Parvati Pass, but it is so beautiful that there are now trek itineraries that go only to the lake and back, to allow less experienced climbers to stay here for a couple of days. Mantalai lake lies in the midst of a large meadow between mountains. There are small streams criss-crossing the clearing, and a carpet of wildflowers under your feet. The lake is fed by glacial waters, and is usually serene and clear. All around, there are large rocks on which you can sit and admire the views, while wild horses graze on the sweet grass around you. This is one of the very best campsites in India, and is well worth the trek it takes to get here. Deoriatal is a small lake but what it lacks for in size, it makes up for in sheer beauty. The shimmering blue water just a short distance from your tent makes this one of the best campsites in India. On the Chopta trek, you’ll be able to see mountain surrounded by mountain peaks that reflect in the still waters, adding to the splendour. You will love camping here and just soaking in the natural beauty before you head into your tents for the night. The Dayara Bugyal trek is considered to be one of the most scenic because it takes you to the most beautiful meadows in Uttarakhand. You’ll be trekking through meadows filled with tender green grass and wildflowers, leaping over tiny rivulets and sparkling brooks, and breathing in deep to take in all that crisp clean air. 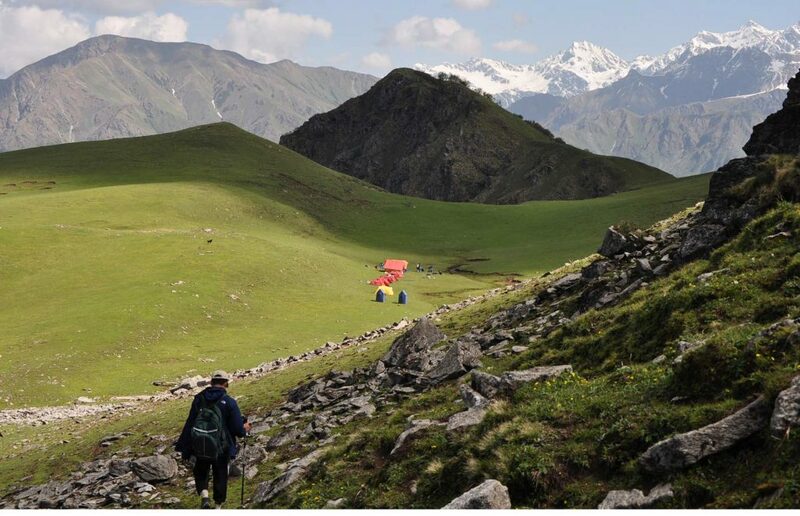 You’ll be camping in the midst of sprawling meadows all along the trek, each prettier than the other. From your campsite, you’ll be able to spot the woolly sheep that dot the grassy highlands, and you’ll see the towering mountains around. 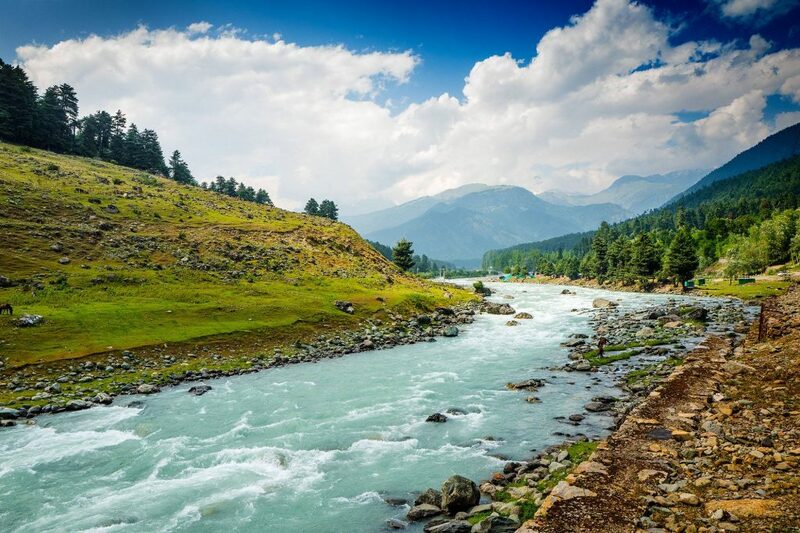 Known for the paradise-like views it offers, Kashmir is one of the best places in India to go for a trek. And on the Great Lakes of Kashmir trek, you’ll be experiencing as much of this landscape as possible. You’ll camp on the banks of turquoise lakes, hike through meadows, gaze in awe at towering peaks, and feel the nip in the air bringing roses to your cheeks. It’s hard to choose between the many campsites on this trek, so we’ll leave it to you to decide. Have you seen these adventures in Himachal Pradesh? The top 5 ways that rock-climbing will change your life!